This spring Hotel Solamar is introducing San Diego to a new rooftop: LOUNGEsix. One the biggest and most comfortable rooftop lounges in San Diego belongs to Hotel Solamar. Yet for some reason the poolside space at Solamar seems to be continually left in the shadows when praise is dispersed to the many rooftops along the downtown skyline, according to DiscoverSD.com. Perhaps this is because in years past, Hotel Solamar’s nightlife vibe has remained mellow while neighboring hotels such as the Ivy and Hard Rock have competed for the party spotlight. Without local promoters – aside from the occasional special event – the nocturnal crowd at Solamar has consisted of hotel guests and locals in-the-know looking for all the rooftop perks without the fuss. Such was the local reputation of JBar – the old rooftop lounge. This spring Hotel Solamar is introducing San Diego to a new rooftop: LOUNGEsix. Don’t expect a new design and don’t hold your breath for the launch of new edgy nightlife promotions. The launch doesn’t bring an aesthetic transformation, but the new LOUNGEsix name does represent a change at the Hotel Solamar – particularly a new atmosphere on the Solamar Terrace. 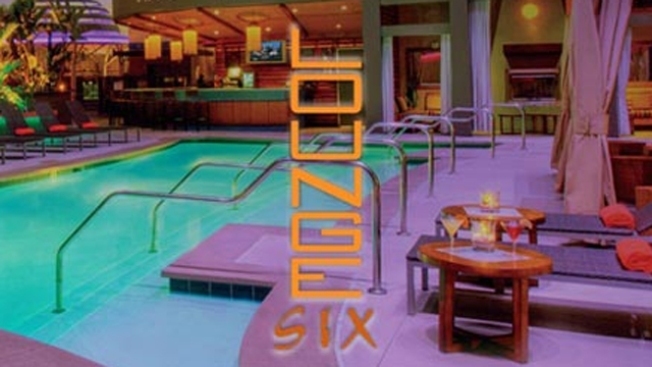 On April 16th Solamar will unveil the new ambiance at LOUNGEsix. Until then, check out DiscoverSD.com for a sneak peak of what's new.